PunchBets: Ultimate Sportsbook for Fiat and Crypto Punters? PunchBets, a Radon B.V. gaming site, is home to large selection of sports betting markets since 2011. Though this sportsbook has a Curacao license, the licensing authorities in Curacao may not help you if you run into certain problems with the Punchbets. In terms of customer security, the site utilizes SSL technology to encrypt any info you enter on the site. SSL tech ensures that your credit card number and other important data are safe from hackers. Punchbets did not indicate any country restrictions for sports bettors in the terms and conditions. But players from several countries are not allowed to play NetEnt casino games including those from the US and UK. This should not be a problem if you are looking to back your favorite La Liga or NFL teams. With many betting markets on the table and plenty of side casino and poker goodness, is PunchBets worth your fiat or crypto money? Read on to find out. 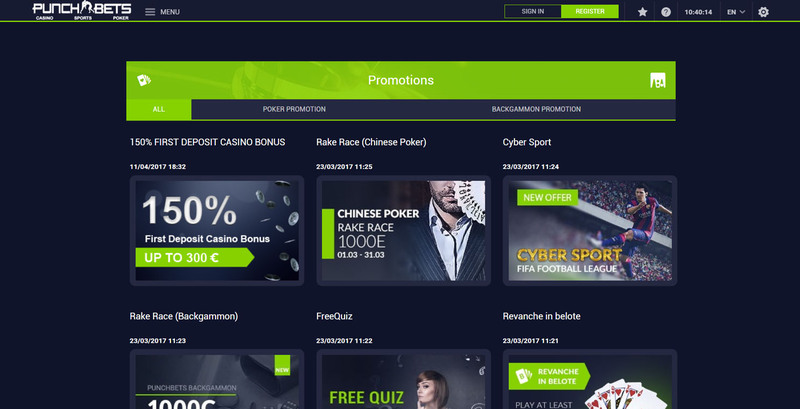 There is a wide selection of promotions provided by PunchBets. But only the Express Bonus promotion is for sports bettors while others are for the casino and poker room sections. The bonus is calculated based on the expected total payouts for your bets on multiple events. If, for example, you wager US$50 on six matches with an expected win of US$700, your total bonus will be US$65 when you win all matches. The highest payout you will get from this promo will be US$765. The limited promotions dedicated to sportsbook bettors may steer some punters away from PunchBets. There are other gaming sites that provide better Bitcoin sportsbook bonus promos. The massive sports coverage and betting markets are PunchBets’ strength. There are markets for more than 40 competitive events. Major sports competitions are covered by the sportsbook like the NBA Playoffs and Australian Open matches. Additionally, there is a good selection of esports events for games like Dota 2, Heroes of the Storm, and Overwatch on this betting site. You can even find some betting markets on unique events like the outcome of a reality TV show or a Nobel Prize award winner. Many of the most watched sports have a large variety of bets for each match. In World Championship Ice Hockey, for example, you get your usual match winners, handicap, and totals wagers. But there are also plenty of prop bets for a match, like which hockey team will score a goal first. Complementing the many sports bets you can make is the customizable website. You can change the odds to six different formats: decimal, fractional, American, Hong Kong, Malay, and Indo. 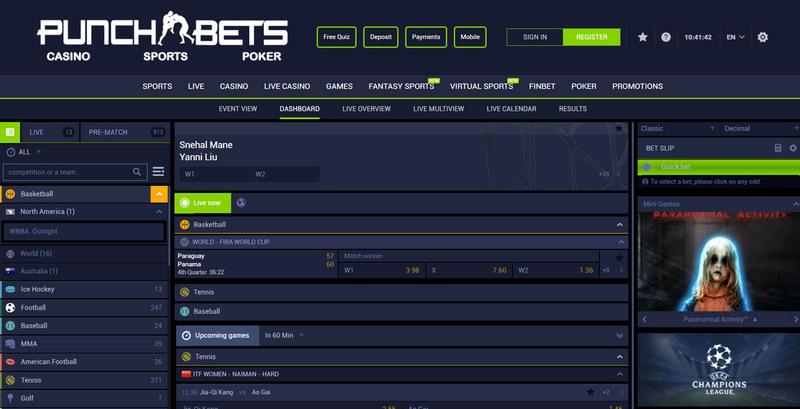 There are also four different sportsbook layouts that change the look of the sports betting section. There are many ways you can fund your PunchBets account. But if you are a Bitcoin user, there is only one option available since the sportsbook does not support direct crypto payments. The lack of any crypto payment method can turn off owners of Bitcoin and other altcoin. But if you still want to try your luck in this online bookie, you can use Neteller to fund your online sportsbook account. While you can directly send any crypto coins to your account on PunchBets, the many payment options make up for the lack crypto payment. Even better, you can deposit and withdraw as little as a dollar in this gaming site. PunchBets: Is It Worth It? 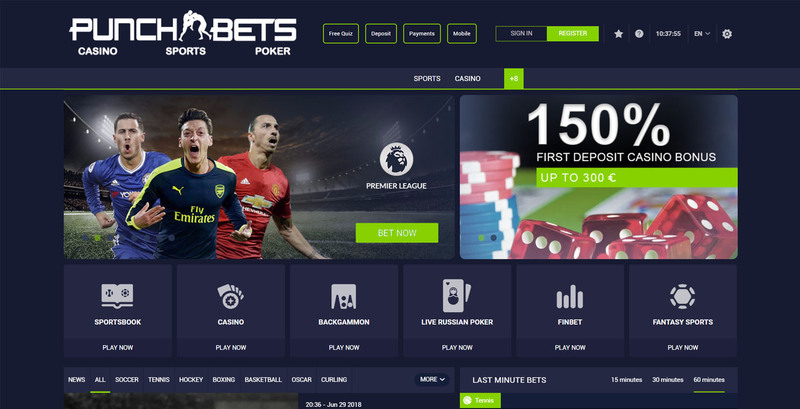 PunchBets has definitely crossed many of the important features to have for an ideal sportsbook. You have many markets readily available to wager on and have the option to change the layout of the sports betting section to the way you want it to look. But the sportsbook also has some flaws, especially ones that concern crypto payments. Crypto owners are stuck with using Neteller to send money to their accounts or cash out their winnings. Plus, there are a few promos in this site which can take away a punter’s reason to come back and bet on MLB or Champions League match. Still, the many wagers you can make on PunchBets may make up for all of the sportsbook’s shortcomings. But if you are looking for better Bitcoin sportsbooks that accept direct crypto payments, check out other sportsbook reviews.